Ashley N. Lynch is a native of Beckley, Raleigh County, West Virginia, a city populated by the blue-collar working class. 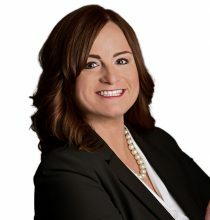 Ashley earned her Bachelor of Arts in Political Science from Marshall University in Huntington, West Virginia, in 2008, and then obtained her Juris Doctor from Western Michigan University Cooley Law School in Lansing, Michigan, in 2011. While attending law school, Ashley earned awards for her excellence in the classroom with two Certificate of Merit Awards (highest grade) in Family Law and in Art, Cultural Heritage and the Law, and she was consistently on the Dean’s List. No stranger to hard work, Ashley completed her academic course work in two years and then returned to the Mountain State to complete her externship. Immediately following graduation, Ashley served as Judicial Law Clerk to the Honorable James C. Stucky of the Thirteenth Judicial Circuit in Charleston, Kanawha County, West Virginia. While working in Judge Stucky’s chambers, Ashley gained extensive exposure to a wide variety of legal specialties and assisted Judge Stucky in countless bench and jury trials. She also performed research and analysis on complex legal issues involved in the judge’s rendering of decisions later affirmed by the Supreme Court. Ashley’s clerkship solidified her deep desire to help community members receive the justice they deserve. Ashley joined Hendrickson & Long, PLLC in early 2017. Today she maintains an active caseload concentrating exclusively on employment and personal injury law in WV. Her realistic approach to the legal process and her business- and transaction-focused thinking help minimize client risk. Ashley also works closely with clients, experts, and colleagues to find the best case strategy to achieve a successful result for her clients. Ashley currently resides in Hurricane, West Virginia, with her husband, Al, and their Chihuahua, Laci Pearl. Among her other interests, Ashley also enjoys skiing, reading, cooking, and entertaining family and friends.